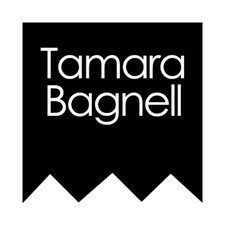 Tamara Galiano Bagnell received her BFA in Interrelated Media from Massachusetts College of Art in 2001. She now resides in Durham, North Carolina and creates art in a variety of mediums including sculpture, assemblage, applique, monoprint, screenprint, and installation. The overall motivation behind her art stems from an interest in playing with color, symbolism, and abstraction. She views art as a way to express the aspects of thought and emotion that exist beyond what she is able to express in words. Many of her more recent pieces also center around exploring the intersection between humans, nature, and the synthetic world...and how, in our rush to simplify and control our lives, we are causing the line between these realms to become increasingly blurred. These works embody simultaneous feelings of wonder, anxiety, curiosity, and fear over the human drive to manipulate and master the world around us.